When it comes to taking the UK driving test, studies show that you may need more than good driving skills on your side. The time you take your test could also make all the difference between a pass or fail. The research, conducted by Dayinsure and the DVLA, revealed that pupils taking their driving test later in the day are more likely to pass than pupils who take their test earlier. Let’s delve a little deeper into those findings. Before we look at the research in more detail, don’t panic if you already have a test booked for earlier in the day. These statistics are compiled from a small section of data and shouldn’t be taken at face value. Many people believe that the worst time to take your driving test is during the school run and the evening rush hour. 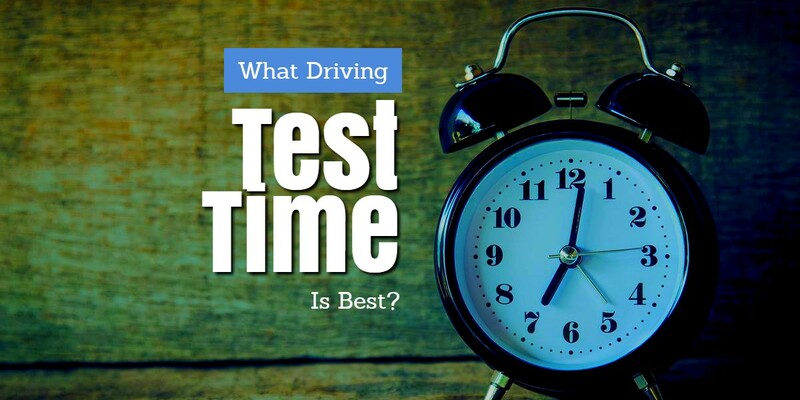 However, according to data compiled by Dayinure, a test slot between 11 am and 1 pm is statistically the worst time to take your driving test. The statistics show that only 48 per cent of pupils passed during these times. And the best time? Well, according to the DVLA, those who take their test between 7 pm and 9 pm are most likely to pass. Pupils taking tests at this time had a pass rate of 65 per cent. It’s also worth noting that if you want to take your test in the evening, there is a premium to pay. The cost of an evening driving test is £75 compared to a daytime test rate of £62. So, let’s crunch some numbers. By paying an extra £13 for an evening driving test, you have a 15 per cent higher chance of passing your test. The greater success rate for evening driving tests certainly makes for fascinating reading. The difference in pass rates is possibly down to the lack of rush hour traffic and pupils being in a calmer state than they would be first thing in the morning. Nerves are the most common reason for failing a driving test, so if you want a quieter and calmer drive, you may wish to consider booking an evening test. If you want to save money and book a normal daytime test, but are worried about nerves, why not book some lessons during rush hour times so that you can get accustomed to the heavier traffic flow and higher levels of observation that are required?